Gary Gygax, as you might be aware, was one of the main co-creators of Dungeons and Dragons. He was also the coolest guy you can imagine. I met him only once, at GenCon the year before he died. I think he was promoting his Lejendary Adventures series at the time. But he was just delighted to meet so many cool people who still love his work. I didn’t know Gary Gygax would be at the convention, so I hadn’t thought to bring anything specific to have him sign. But I did have my Hackmaster Player’s Handbook. 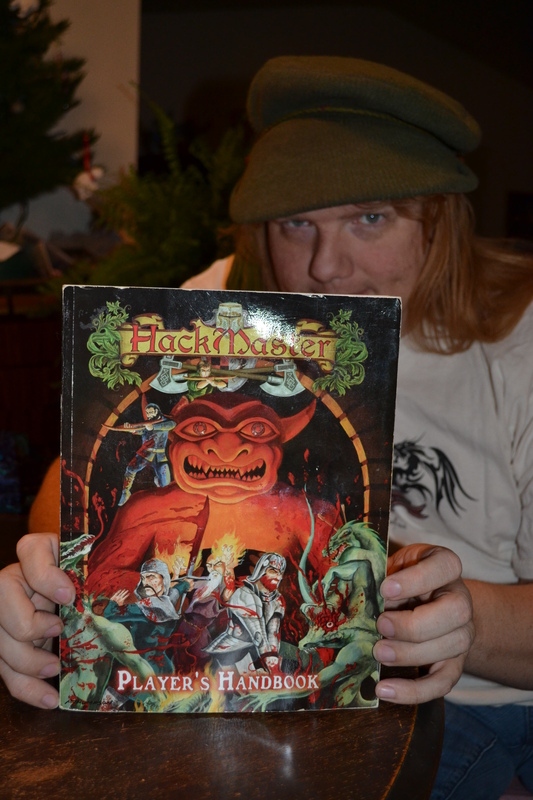 Hackmaster is very closely aligned to the classic D&D gameplay, taken to a nearly fFarcical degree. Some of the silly things gamers do are built into the game as a mechanism. Also, the Player’s Handbook has a page fFor fFamous people sign, fFor good luck. I sheepishly handed Gary Gygax my Hackmaster Player’s Handbook, knowing it was a book he had very little to do with. 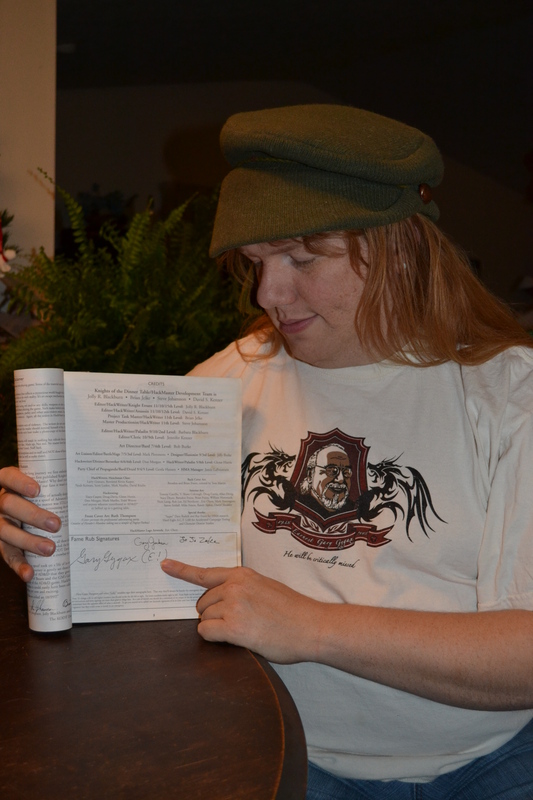 He laughed merrily, cracked it open to the Signatures Page, and signed. It’s so perfect. I don’t play very much Hackmaster these days, but it’s basically the perfect homage to the guy who made the game fFor us. This shirt reads “Gary Gygax, Gone But Not fForgotten.” It is fFrom Game Ink, a shirt store that is also no longer in business.